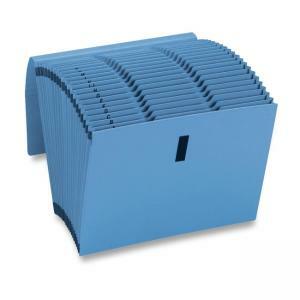 WaterShed/CutLess expanding file is designed to withstand extensive use. File resist spills, dirt and finger oil. Each pocket features a reinforced thumb-cut tab to keep you organized. Flap has a hook-and-loop closure. Expanding file is made with 30 percent post-consumer material.